The Cheese Wiz! – Olive For Greens. Who doesn’t love cheese? Beside, vegans of course! Cheese is actually a giant reason why I am not a vegan. I just love it too much. I’m sure this is how most people feel about chicken. Believe me, we are singing the same tune with a different tempo. Growing up, people called me a rat because I am big person eating cheese all of the time. I cannot help it. I was born this way! Well, kind of. Even trying to drop a few pounds I could not give up cheese. All I did was reduced my intake. Remember, all things are tolerable in moderation. It also depends on the type of cheese. I’ve learned that Sheep and Goat cheese are the healthiest. I do not like goat cheese but if you do, have at it! I try my best to stick to Sheep milk cheeses such as feta. 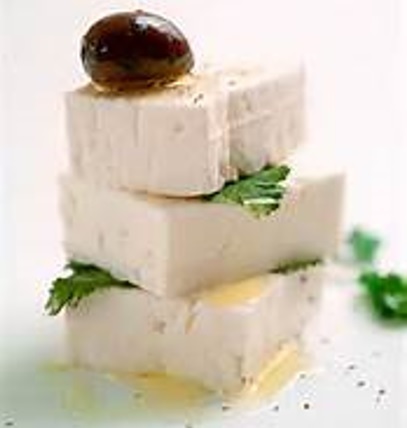 “Feta makes everything betta!” I do go astray at times but I am more mindful of how much I am consuming. I make sure that I eat vegan 3 – 4 days a week to keep myself in check. The reason goat and sheep milk cheeses are better for us (humans!) is because the enzymes are similar to our than cow’s . Therefore, it’s easier to digest. Simple as that! Sounds revolting, doesn’t it? But I promise it is not! AT first, I was so skeptical about nutritional yeast (pictured below) but I decided to keep an open mind and brought it. I did it for the sake of reducing my cheese intake. It sat in a mason jar for about week or so before I experimented. I sniffed it and touched it then made a salad. Once all of the components of my salad were complete, I sprinkled a tablespoon of nutritional yeast on it. Not going to lie, it has a cheesy element to it. I was pretty excited! I now add it to the majority of my salads instead of cheese. To name a few, nutritional yeast also has amino acids, fiber, B complexes-including B12 which is an important vitamin. Everyone should! B12 is a vital nutrient we need because we can develop deficiencies. I’ve read B12 deficiencies are rare but rare doesn’t mean never! B12 deficiencies can have serious side effects such as anemia and dementia. In a non-vegetarian diet, B12 can only be found in animal products. I know what you might be thinking now- If B12 is only available in animal products then we need to eat meat. That was my thought initially and I questioned myself. But my rationale is the repercussions of eating meat are more severe in the context of health issues. Taking a mere vitamin in the morning will take care of that. Or, of course, consuming foods that have naturally have B12. I’ve read that for an individual who has eaten meat their entire lives, the B12 vitamin stays in our system for 20 years. So not to worry, most of us have plenty of time to figure things out. Personally, I take a B12 supplement each morning, it give me energy among other things. I personally know someone who eats meat daily and also makes a B12 supplement in the morning for energy. Vegan cheese is available at stores. Personally, I have not enjoyed the ones I’ve tasted. Also, most have soy and I try to avoid too much soy consumption. For the vegan cheeses that don’t have soy, I haven’t heard good things about them- as far as nutrition is concerned. However, recently I’ve come across blogs and articles about making your own vegan cheese. If I give those a try, I will definitely blog about it so stay tuned! Another thing I do to “avoid” cheese (when I’ve had it too many consecutive days) I use a dollop of hummus on whatever I am eating- be it a salad, sandwich or wrap. Honestly, it definitely helps! Creamy, mashed avocado is also another option. Try it some time! For an awesome mac and cheese recipe click here!